Released in 1989, Lean On Me is undoubtedly one of the classic films of Black cinema. Starring Morgan Freeman and loosely based on the life story of Joe Clark, the film details a real life, inner-city high school, East Side High, in Paterson, New Jersey, whose school is at risk of being taken over by the New Jersey state government unless students improve their test scores on the New Jersey Minimum Basic Skills Test. 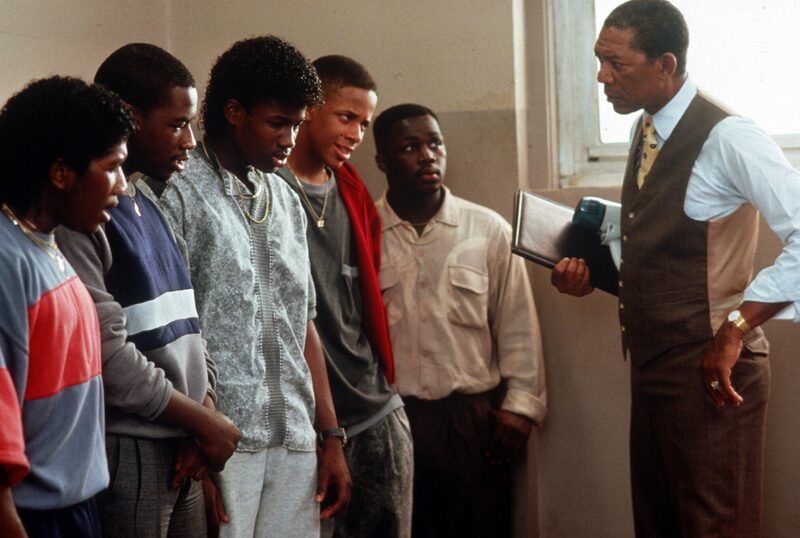 One of the most iconic scenes in the film is when Mr. Clark catches a group of boys in the bathroom, who turns out to be the R&B vocal group Riff. Per the new rules established by Clark, if anyone couldn’t sing the East Side High school song faced suspension. After catching the group, they shock Clark by singing a revamped version of the school song the leaves the principal stunned. 30 years later, in the same bathroom in East Side High that made them famous, they reunited to relive their roles in the film and to announce their plans to release new music. After all these years, Riff sound just like their performance in the film. Although they lost one of their members, Kenny Kelly, who passed in 2016, the group is soldiering on. Check out their vocals on Instagram below.